It’s day 2 to make this project. 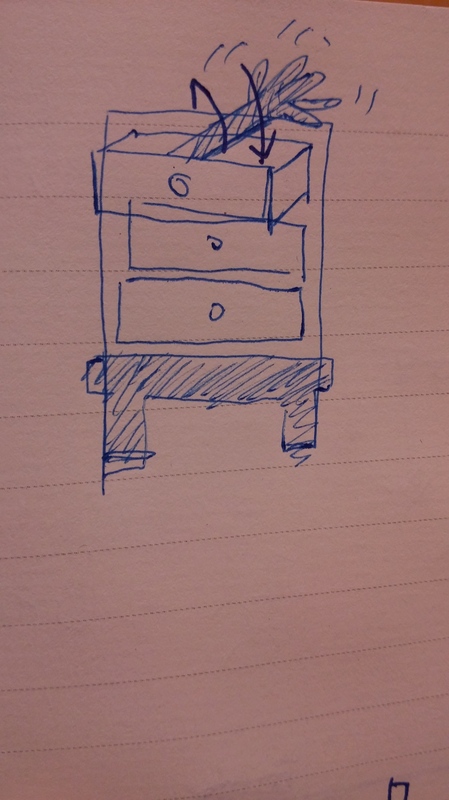 In the morning, I just finished the first drawer, and it works! 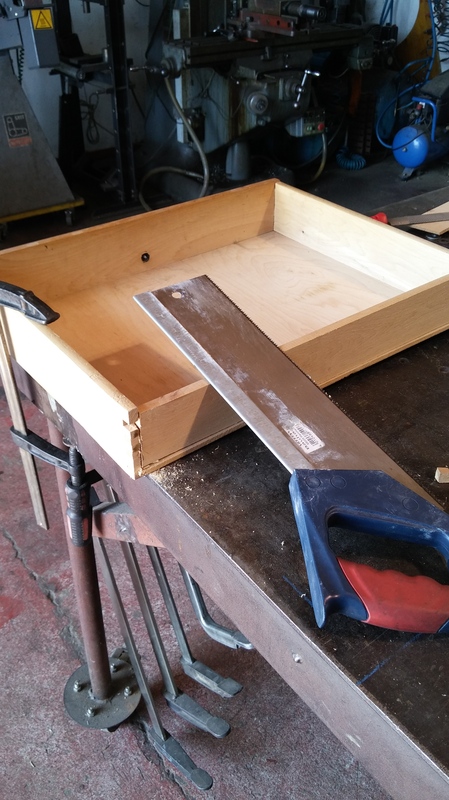 In the end, I still made another small arm to connect the bottom of drawer. I made the second drawer in the afernoon, and it’s a little bit unstable. The third motor only roletate 90°. The idea was coming out this morning. I want to make the hand wave for the third one. So my mission on tomorrow is…. Finish the thid drawer and hand movement on the morning. And, put some small wood to make the second one stable. 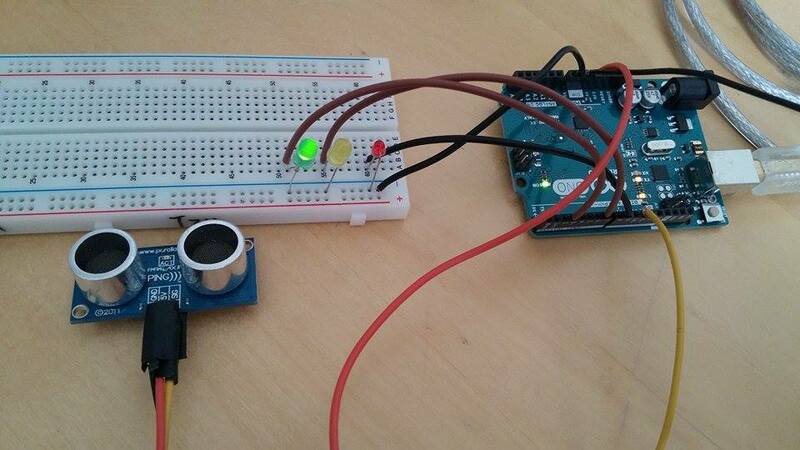 In the afternoon, control all the motors with Arduino. Well, if in the morning, i couldn’t finish the third one in the morning, I will jump to this stage directly. 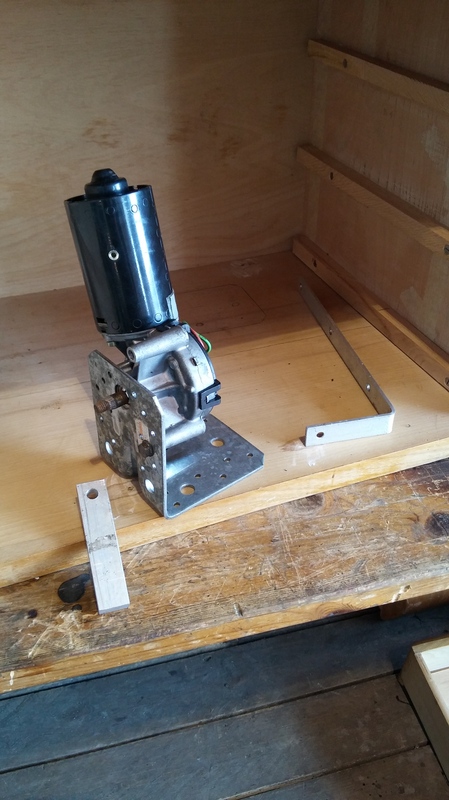 Today, my goal is make one drawer move and see how I put another motors. 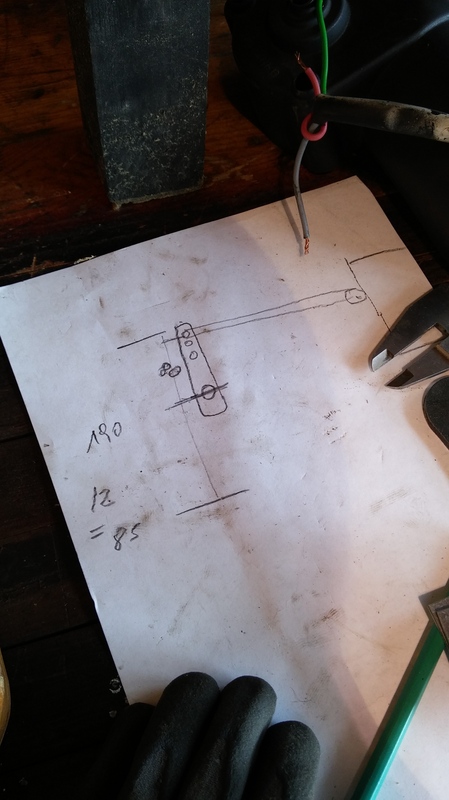 First step, finding a right angle iron to make a motor stable and bore a hole. To hide the everything and make it move like magic, I have to cut and restick the bmttom of the drawer. The connection of short arm and long arm is adjustable. The hole of short arm is 4.5mm diameter, the long arm hole is 4mm, so the one can be locked, the other one is flexable. In the end,I still don’t have enough time to test the first drawer( I also need to wait for the glue dry…), however test a movement with speed control motor. And, there’s a problem to connect to drawer. I have to make a another small arm to connect them or just drew it but leave some space for movement. Next time(20/5), I have to finish the first drawer to make sure it truly works. 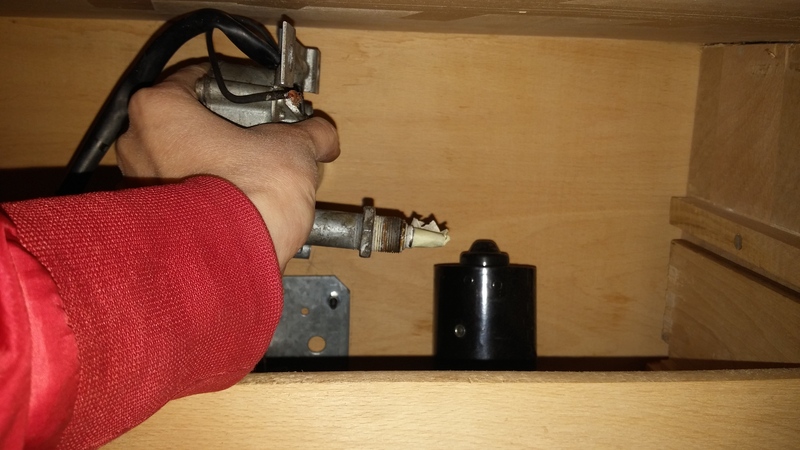 And then, I will see where are another two positions of motors in cabinet. If I have more time, I want to make iron leg for my cabinet. The sound shouldn’t be control all the time. I try to put the feeling and character on the drawer. The drawer makes the different beats by the distance from the people. 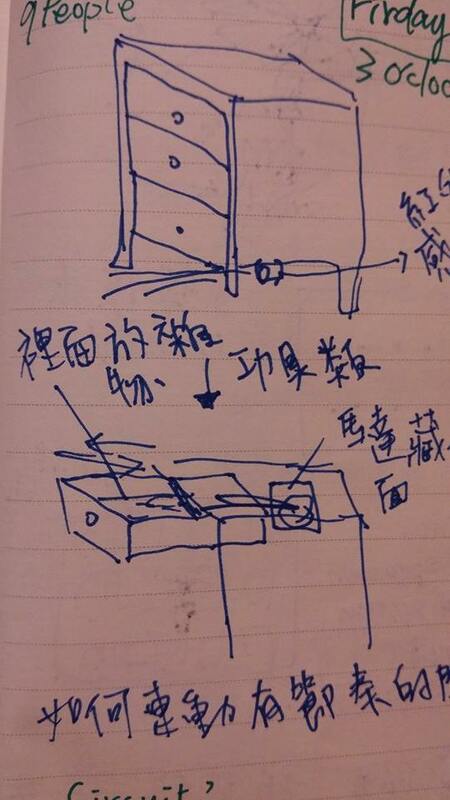 For example, if you get too close, it open the drawer by itself harsh as like it can cut your finger or hurt you. Leaving some objects in three of drawer, so that they make the random some during the regularly beats. 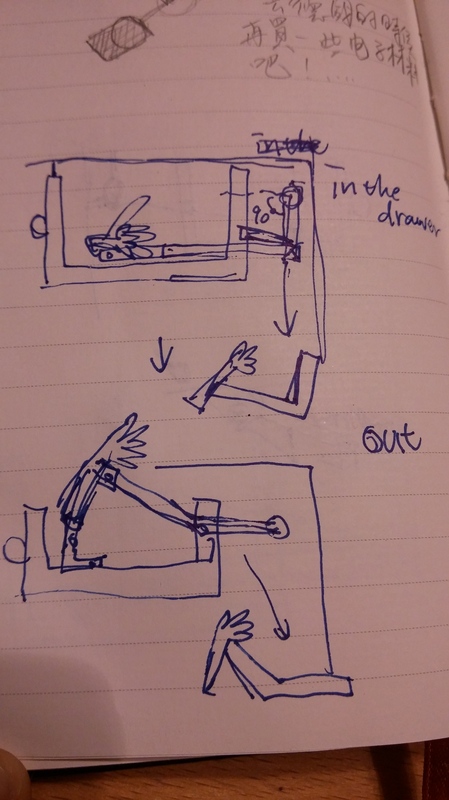 So, the plan is use Arduino to control 3 motors, and make an arms for each one to make drawers go out and in. 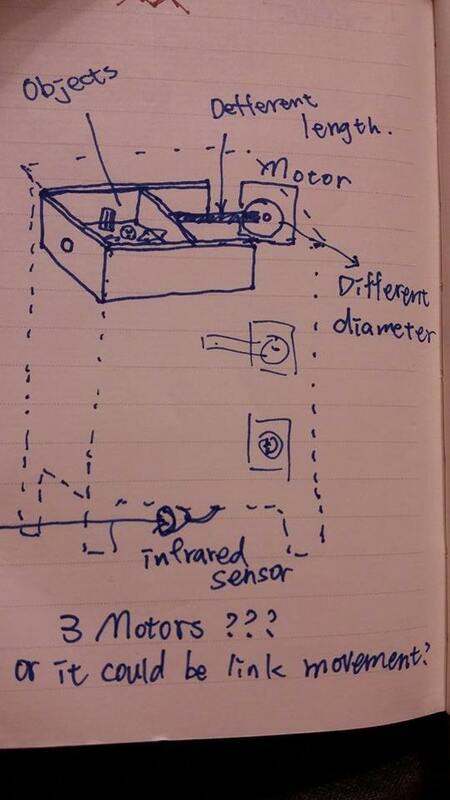 I use ultrasonic Distance Sensor to detect of distance from the people. 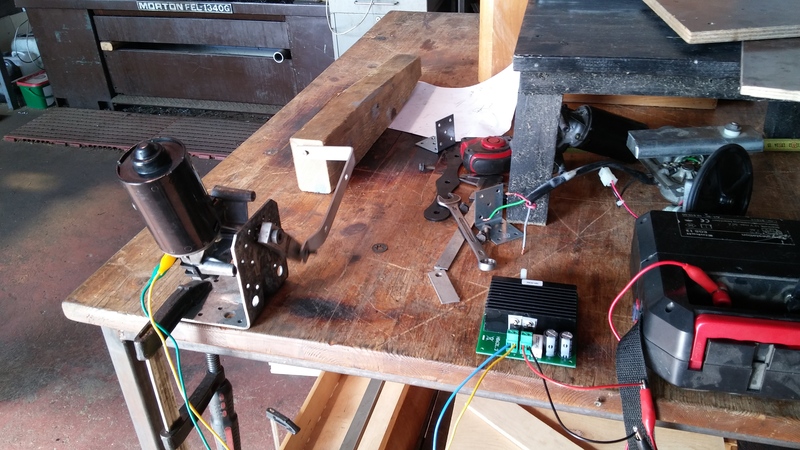 Before connecting to motors, I test it with LED light first by simple code (To make motor work in different speed, we need to test PWM.). 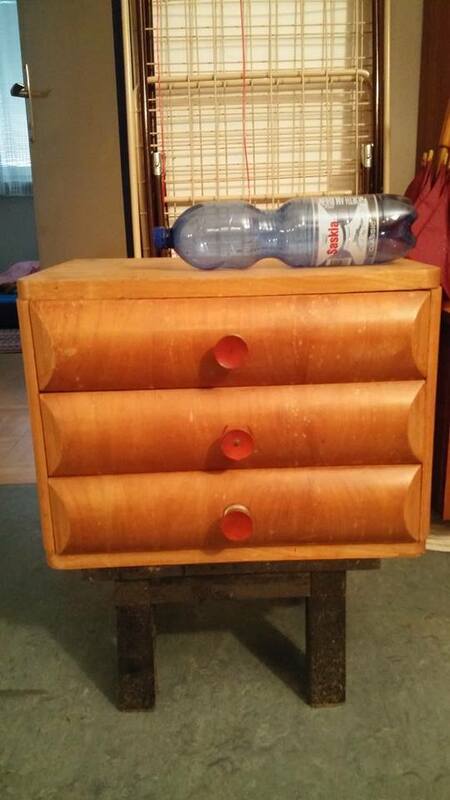 Here is my cabinet which I get one from ARGE TRÖDLERLADEN where you can get furniture easily and cheap! (check the size by bottle) I will hide Arduino and sensor on the downside of black small table. ah….I will begin to build this project on next Monday(18/5).